We’re not as crazy about lists as some other media outlets. At times, they’re a lot of fun, while at other times they can cause some epic intra-office battles. For our Best Albums of the Decade list, the editorial staff was pretty much unanimous about who was going to be at the top, which averted some pretty terrible pranks we had planned…guess that’s for another list down the road. There were so many wonderful, incredible, certifiably magnificent records released in this decade, choosing the top 25 was never going to be easy. We hope you enjoy our selections, and include your own lists and thoughts in the comments. This debut near the close of the decade fittingly starts off our list. The rocking indie synth-pop duo stepped up to the plate, called their shot and knocked it out of the park with this release. It’s a confident first effort that will hopefully be followed by more of the same. 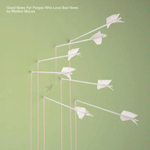 Rhett Miller and the gang drop the Texas twang in favor of Beatles-y power-pop on their fifth album. “Designs On You” sounds like the perfect expression of booze-drenched lust, while “Question” considers love from a more spiritual perspective. 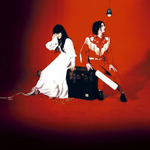 Meg and Jack White secured themselves an entry in the modern rock encyclopedia with Elephant. Building off their previous indie success, this album affirmed their major label viability and Jack White’s songwriting dynamism. “Crazy” was their calling card, but St. Elsewhere, the dynamic duo of DJ Danger Mouse and Cee-Lo Green’s debut album, is a winner from start to finish. 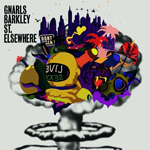 Lyrically, you’ll find more depth here than on your average hip-hop/r&b/neo-soul hybrid, and when it comes to creativity, Gnarls Barkley are among the best in the league. They shoot, they score. 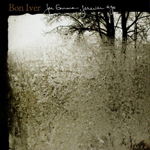 The now-romanticized account of a winter in isolation aside, the hype behind Justin Vernon’s debut held up. The songs, like the slow-melting “Flume” and rolling “Skinny Love,” prove themselves over and over again. Vernon reminded everyone what juiced-up vocals and a guitar could accomplish. 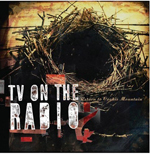 Purveyors of indie rock both jarring and genius, Modest Mouse probably never expected to have a mainstream radio hit. But by the time they around to their fourth studio album, they were writing songs too catchy and clever to be ignored. “Wolf Like Me” announced their noisy, seemingly overnight arrival. 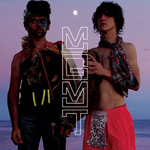 This album rocked, it swayed, it pulsed, it stormed and it’s still darn good all the way through. 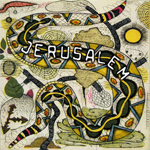 Jerusalem was this left-wing songwriter’s attempt to grapple with “America’s ignorance of Islam.” Though heavy-handed and at times fatalistic, the album ends on a hopeful note, with Earle singing: “I believe that one fine day/All the children of Abraham/Will lay down their swords forever/In Jerusalem.” Let’s hope so. 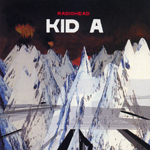 Kid A wowed listeners when it first debuted, and it’s still awe-inspiring now. The band took the bold next-step-forward in electronic rock with this album–and they never looked back. Yoshimi is the gem of the Lips’ output this decade. The album finds their trippy, far-out songwriting in place, but the melodies here soared to new heights and kept pulling us back in for repeated listens. If Amy Winehouse never made another album, she’d still be a major figure in music, thanks to this soul-drenched, rehab-denying breakthrough LP. A song cycle about a woman living on the edge, Winehouse tapped into a retro Motown sound, but kept the lyrics thoroughly modern. The result is a contemporary classic. Sam Beam’s first album is an intimate and poetic collection of songs, sung to a hushed guitar and banjo. “Upward Over The Mountain” is a cryptic letter to Mom that deals with God, dreams and the time the family dog miscarried her pups. 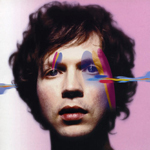 A departure from his earlier work, Sea Change unearths a vein of craftsmanship unseen in previous Beck albums that’s golden and precious. 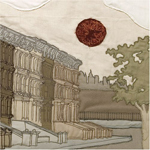 A break-up album to stand up against all other break-up albums. 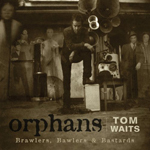 Featuring new songs as well as rarities, this three-disc album serves up a broad array of “grand weepers” and “grim reapers.” Highlights include Kerouac’s “Home I”ll Never Be,” and a spoken-word performance of a Bukowski poem. Often labeled as moody songwriter Elliott Smith’s most accessible and well-put-together album of his all-too-brief career, we must agree. 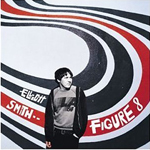 His second major-label effort continued down a path of more elaborate production, yet his voice soars above it all in a way not captured on previous albums, creating a wonderful balance here that elevates Smith’s dark melancholy with grace. 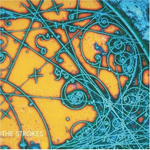 The Strokes conquered the world with this watershed album, merging the garage ethos of the Velvet Underground with Motown swagger. Great melodies, great grooves and, most of all, great fun. Dismissed by some critics as a prank, this collection of Palace songs—recorded with veteran Nashville session musicians—is inventive, playful and affecting. “Agnes Queen of Sorrow” is a classic country duet for the ages. Known for taking risks and leaps with each new album, on Armchair Apocrypha Bird appears most comfortable with his voice and production, making it is his best work to date and confirming him as one of the leading songwriters of the decade. He makes avant-garde approaches come off classic and unassuming. The first solo effort by this enfant terrible stands as the high-water mark of his career. The songs are a series of melodramatic confessions, set to stripped-down, gorgeous instrumentation. “Come Pick Me Up” manages to sound both bratty and heartrending. A family band from Canada that took the world by storm, Arcade Fire make music that touches on the disparity between being a child and being an adult. Hipsters took to it like a well-worn t-shirt, but anyone with a heart and a soul can appreciate their rebel yell. Hidden within this seemingly simple, austere presentation is a hard, refreshing punch to the gut. Time stands as the best work to date of Welch and Rawlings. Here, the duo bottled their tight, haunting vocals with songs bounding over genre lines and defined their sound. It’s a testament to the power of the stripped-down sound of winding guitars and well-pitched harmonies. They set the bar. Though by no means mainstream, the album created powerful wrinkles in the fabric of modern music that continue to appear. 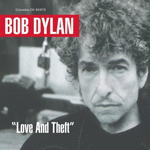 That Bob Dylan reinvented himself on Love And Theft should come as no surprise — that’s what Bob Dylan does. But what a reinvention. Melding old-timey influences, blues magic, and some of the most impressive, rambling and literary lyrics he’s committed to paper, Dylan created a brand new persona — that of the aged minstrel who knows that life is but a song. Here’s where the best elements of American music meet — rock songs that mean something, indelible melodies, innovative production, cathartic lyrics, and Jeff Tweedy’s smoky voice and broken heart. 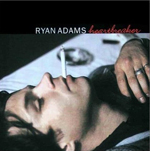 From “Ashes of American Flags” to “Reservations,” no album resonated more than YHF during this turbulent decade.